Train is the best mode of transportation, be it for a casual traveling or for a long journey. If you donâ��t want to waste your time and efforts in getting the train tickets, then come directly to us. 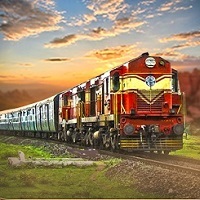 At Om Tours And Travels, we are instrumental in rendering excellent train booking services to the travelers across Bhopal (Madhya Pradesh, India). Our railway ticketing agents are associated with the largest railway network of India. Thus, they can help you in getting any number of train tickets conveniently.